Collection packs other than Deluxe, Double Deluxe and Holiday Ed. 2005/06 are not supported. If you install the AGS with any other collection pack, you will probably have to uninstall and reinstall all of your games to get back to a working state. for testing purposes or nostalgic pleasure! This AGS version is compatible with any game and expansion on physical CD/DVD. It support also Store Edition, Deluxe, Double Deluxe and Holiday Ed. 2005/06. and must be run under an administrator account. Hint & Tips / F.A.Q. Fixed a bug that prevented the AGS to run in a 32bit environment. FEATURE: The AGS installer now correctly manages both 32bit and 64bit game installations (while previously the installer could run under a 64bit Windows, but couldn't create a working Registry file in such environment). The useless online check for updates has been removed; the AGS now does not require any more an active internet connection. The screen resolutions has been updated to more... modern values (1024x768 / 1280x720 / 1600x900); Bodyshop max resolution is still 1024x768. In order to use these resolutions, some users may need to fix the issue with the Sims2 not recognizing the latest video cards (search Google for a replacement of the "Graphics Rules.sgr" file). The installer, in order to correctly manage some game configurations that include specific stuff packs (H&M, IKEA and K&B) now permanently renames the three mentioned game folders, so to remove any non-standard characters like "®" and "&". This won't affect in any way the normal "full" game. Minor improvements in the internal code and the batch files. BUGFIX: The "Replace" function didn't actually delete and replace the AnyGame1 any more (the bug was introduced with v. 2.1.0 and affected only the AnyGame1, while the AnyGames 2 and 3 were correctly replaced). Introduced the ability to UPDATE existing AnyGames to a different EP configuration, without deleting and replacing the saved AnyGame (neighborhood, sims, downloads, etc.). The option is available only in Standard Mode (not in BGS mode), and only if the update is actually possible (see details in the "How to Use" and "Hints & Tips" sections, below). The AnyGameStarter (in brief: 'AGS') allows to create a temporary test-game (and optionally a test-Bodyshop) including or excluding any Expansion Pack, Stuff Pack and Add-on Packs (among the ones that you own, of course). Set up a game with few (or no) EPs, where to create lots with low (or no) game requirements. Set up mutiple alternate themed Full Games (e.g. medieval, sci-fi etc. ), with their own default replacements that don't affect the main game. Set up an alternate game (with or without EP/SP) to play Legacy challenges. Set up a game without Seasons, where to create functional CAS screens. Set up a "base-game only", or a game with an unusual configuration, where to test an object or mod under specific conditions. First off, you have to download the rar attached to this post and extract the installer ("AnyGameStarter_Setup.exe"). I suggest NOT to extract it to the desktop, so to avoid an eccessive clutter: better put the installer in a folder somewhere on your hard disk. use the "Standard" icon to run the normal AnyGameStarter. Click the button below to know more. HOW TO USE THE AGS INSTALLER - "STANDARD MODE"
By starting the installer in Standard Mode, you can create/replace an AnyGame using the full-feature AGS interface; you can also make permanent an existing AGS/BGS game, or delete an existing AnyGame. Before doing anything, you have to LOCATE THE RIGHT ICON to start the installer. If you can't find it, then double-click on the "AnyGameStarter_Setup.exe" that you have extracted from the rar downloaded from this thread: the "Standard Mode" icon should immediately appear on the desktop; if not, select the option "Force re-create icons" from the drop-down menu. CREATE or REPLACE an AnyGame. This is the main function of the installer. You can create up to three highly customized AnyGames for every need; the AnyGames created this way are "temporary", meaning that the installer can delete, replace or uninstall them without any special warning (if you need a safer game, read on about the PermaGames). In Standard Mode, the selection of the game configuration is mainly done using the EP/SP list; anyway, for your convenience, there are some pre-made game configuration already stored in the drop-down menu. You can freely include or exclude any of the listed Expansion, Stuff and Add-On packs (the list will include only the games the you own, of course). If you deselect all the packs, the installer will create a "base game only" AnyGame. The Standard Mode offers a lot of options: scroll down to see them all! Most of the options are quite self-explanatory, but anyway here is a detailed description of all of them. AnyGame to create/replace: here you decide which of the THREE available "slots" should be used for the AnyGame that you are creating. If the slot is already taken by an existing AnyGame, the entry is "Replace AnyGameX"; otherwise you read "Create AnyGameX". 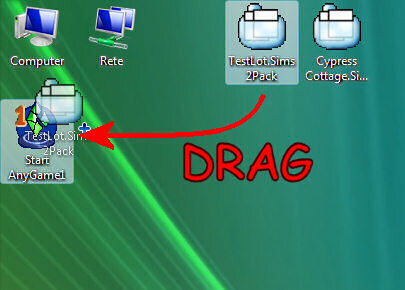 NOTE: the "slots" are shared between normal AnyGames, and "BGS games" created using the special "BGS Mode" of this installer (old BGS games created with the outdated BaseGameStarter installer are separated, and don't use these slots). In addition to the Create/Replace entry, the installer allows - whenever possible - to update the existing AnyGame. The installer automatically detects if the desired game configuration (as set in the previous selection window) is compatible with the existing AnyGames, and shows the "Update" option only if the update is actually possible. Keep in mind that adding new EP's to an existing AnyGame is always possible, while downgrading a game is possible only under specific conditions. Read more about the Update feature in the Hints & Tips section. Create additional "Legacy" BodyShop: this will create a second icon named "AnyBSX" that start a special BodyShop containing only the packs selected for the AnyGame; this is extremely useful when creating a sim, or cloning clothings, in order to avoid to unknowingly include stuff from unfrequently used packs (Celebration, Glamour, Holiday add-ons etc.). For example, if you create an AnyGame with UNI, NL and OFB, the game will identify it as a "Up2OFB game", and will choose the proper icon. But in case you want a specific icon to identify your AnyGame, then you can activate the option "Customize shortcut icon" and the installer will ask you to choose the desired icon, among the ones provided. The "standard game" is the normal Maxis game with all the pre-defined neighborhoods, lots and sims (PleasantView, StrangeTown, Veronaville etc. ); it's perfect for Legacy Games, but requires more disk space. The "mini-game" contains only one small neighborhood, with one residential lot occupied by the reknown Randy and Rhonda Random ; the lot catalog contains only one residential lot, the family bin is empty. If needed, you can add the Maxis sub-NH (university, downtown, vacation etc.). Mini-games are suitable as test environments, because they are "clean" and load up quickly. The "empty game" contains absolutely nothing: no NH, no lots, no families; it only contains some empty terrains (otherwise you couldn't create any new NH); if you are going to create a neighborhood to share, you should create it withing an "empty game". Please note that Maxis sub-NH are not allowed in empty games: you have to create new sub-NH from scratch, if needed. Game resolution: choose whether you want the AnyGame to run fullscreen, or in a small/widescreen/large window. Sound options: turn the game sound ON or OFF. 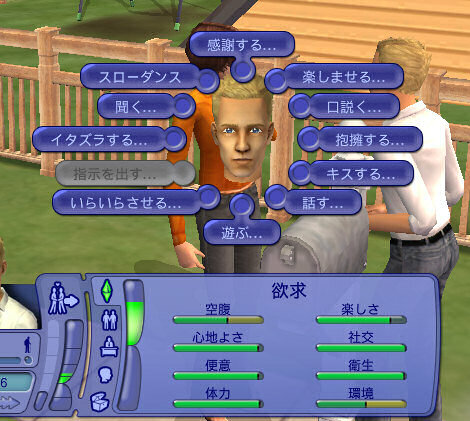 Game language: sometimes you may need to test a creation in a foreign game; using these options you can force the game to start in one of the listed languages. If you don't need to change the language, set it to "Original" (in brackets, you will read the default language used by your game). Check for updates: activating this option, the installer will briefly go online to check if there are newer AGS versions available; if so, it will alert the user, suggesting to visit the official AGS thread (this one) to read the news and download the new version. This option, by default, is checked if an active internet connection is detected; otherwise it deselects automatically. If you deselect it manually, it will stay deactivated. By selecting this option (at the bottom of the EP list, or from the drop-down menu), you can delete one or more existing AnyGames. In the next screen, you can choose which AnyGame(s) should be delete; if you select them all, the AnyGameStarter will completely uninstall itself, deleting all the AnyGames and all the icons from your desktop and the Start menu. NOTE 1: only the three AnyGames (along with the connected AnyBS) can be deleted; the AGS installer won't do anything to the Full Game, the PermaGames and the deprecated BGS games created with the old BaseGameStarter installer. NOTE 2: the "Delete" option only appears if at least one AnyGame is found. Make PERMANENT an existing game. By selecting this task (at the bottom of the EP list, or from the drop-down menu), the installer can transform into a PermaGame (Permanent game) one of previously installed AnyGames, or one of the deprecated BGS games created with the old BaseGameStarter installer. update and transform the old BaseGameStarter games into PermaGames, since the old BaseGameStarter is now obsolete, unsupported and incompatible with Mansion & Garden. Force Re-create icons for "Standard" and "BGS mode". Usually, the installer detects if the said icons are missing and automatically re-creates them; but in case it doesn't, you can double-click on the main executable (AnyGameStarter_Setup.exe) and choose the option "Force Re-create icons for Standard and BGS mode" (found at the bottom of the EP list or in the drop-down menu). This will restore the missing icons on the desktop. use the "BGS Mode" icon to activate the special BaseGameStarter operating mode. Click the button below to know more. HOW TO USE THE AGS INSTALLER - "BGS MODE"
By starting the installer in BGS Mode, you can create/replace a AnyGame using the simplified "BaseGameStarter" interface; you can also make permanent an existing AGS/BGS game, or delete an existing AnyGame. - old BaseGameStarter games can only be made permanent (you can delete them only using the old BaseGameStarter installer). If you can't find it, then double-click on the "AnyGameStarter_Setup.exe" that you have extracted from the rar downloaded from this thread: the "BGS Mode" icon should immediately appear on the desktop; if not, select the option "Force re-create icons" from the drop-down menu. Now start the installer using the "BGS Mode" icon, and choose one of the entries from the drop-down menu. Please note that the BGS mode only works using the drop-down menu: there is no list of EP to select/deselect. Only XYZ: these games contain only the named Expansion or Stuff pack. Up to XYZ: these games include the named EP/SP, plus all the previous EP and SP (i.e. "Up to Pets" contains PETS, GLS, FFS, OFB, NL and UNI). The entries in the drop-down menu are in "chronological order", so that it's easy to know which are the "previous EP and SP" that will be included in the game. NOTE 1: In the BGS games, Store Edition is always excluded, as well as the Holiday packs; if you need to include those packs, you must run the installer in Standard Mode. NOTE 2: You can create up to three BGS games, one by one (it's not possible to create multiple games at once, like in the old BGS installer). NOTE 3: the created BGS games are considered "temporary", meaning that the installer can delete, replace or uninstall them without any special warning (if you need a safer game, read on about the PermaGames). The BGS Mode offers a limited selection of options, most of which are quite self-explanatory, but anyway here is a detailed description of all of them. NOTE: the "slots" are shared between the BGS games and the normal AnyGames created using the installer in Standard Mode. By selecting this option (at the bottom of the EP list, or from the drop-down menu), you can delete one or more existing AnyGames (which includes standard AnyGames and BGS-style games). In the next screen, you can choose which AnyGame(s) should be delete; if you select them all, the AnyGameStarter will completely uninstall itself, deleting all the AnyGames and all the icons from your desktop and the Start menu. NOTE 1: only the three AnyGames (or BGS games created with this installer) can be deleted; the AGS installer won't do anything to the Full Game, the PermaGames and the deprecated BGS games created with the old BaseGameStarter installer. By selecting this task (at the bottom of the EP list, or from the drop-down menu), the installer can transform into a PermaGame (Permanent game) one of previously installed AnyGames, or one of the new BGS-style games, or one of the deprecated BGS games created with the old BaseGameStarter installer. Either mode you choose (Standard or BGS), the installer will let you - in addition to create new games - to delete existing games or making them permanent. NOTE: the AGS installer must be run using an administrator account (the same used to install the full game). HINTS & TIPS / F.A.Q. Questions? Doubts? Problems? Click the button below! What is this "Mini-Game"? Why should I select this option, instead of the "Standard Game"? The Mini-Games are much smaller and faster to load, because they only contain one small neighborhood, without sub-NH. The mini-game neighborhood contains only one residential lot (Randoms' Retreat) occupied by a two-members sim family (Randy and Rhonda Random). The lot bin contain only one unoccupied residential lot and a community lot; the family bin is empty. This way, the mini-game is ready to be used for any test, but still is small and clean enough to be loaded very quickly. If you need to add a sub-neighborhood, the Maxis pre-made ones are available (universities, downtown, shopping districts, etc.). All the hidden lots, such as Witches' castles, Hobby secret lots, vacation hidden lots etc, are automatically created when you first enter the mini-game NH. What is this "Empty Game"? What is the differences with the Mini-Game? The Empty Game, is even... empier then the Mini-Game; it contains no neighborhoods at all, and the lot/family bins are completely empty. Moreover, the Empty Game is set up so to prevent the game from creating the default lots and NPC: this way, you can create an empty neighborhood that is kept empty when you enter it: no sub-neighborhoods, no hidden lots, no default NPCs, nothing. The game will contain only things that you purposely create yourself. I have different Windows accounts, used to play different copies of the game; is it a problem? Having multiple accounts is fine, but keep in mind some important facts. The installer must always be run with administrative priviledges; if all the different accounts are administrative, there's no problem. If you want to run the AGS installer under a "user" account, you must use tho Vista option "Run as Administrator", or the XP option "Run as..." (and then select an Admin account). The AGS installer works on a per-user basis: the mini-game installed under one account won't work under another account. In case you need the same mini-game under several accounts, you must run the AGS installer once per account. The mini-games created by the installer must be run as administrator, too! This is because the mini-games need to temporarily modify some Registry keys in the "HK_Local_Machine" section. I have some expansion on CD, and some other were bought online. Can I use the AGS installer? In some cases, there's a workaround, that allows - at least - a limited usage of the AGS even with online EPs; but in any case, my warning is still valid: the AGS is to be considered incompatible with the online EPs, because I don't have online versions and I can't run any test in such environment. If you want to try yourself, do it at your own risk. The workaround is based to the fact that when you run an AnyGame, it actually runs the executable from the latest EP included in the AnyGame. Therefore, if you have some online EPs and some CD-versions, you can create and run an Anygame that includes, as the latest EP, a CD version. then you can create an AnyGame that includes BV as the latest EP (thus excluding FT and AL); you can even include SSN in this AnyGame: the fact that SSN is an online game is irrelevant, since the "latest EP" is BV, i.e. a CD game! IMPORTANT: When I talk about "EPs" I mean games that act as an Expansion Packs (not Stuff Packs); for example, if you have IKEA on CD, you CAN'T use it as "Latest EP" in an AnyGame! Base, UNI, NL, OFB, FFS, GLS, PETS, SSN, BV, FT, AL, MG.
As you can see, some Stuff Packs (FFS, GLS and MG) act as Expansions, and therefore can be included in the AnyGame as "latest EP". Why the "UPDATE AnyGame ..." option does not appear in the list? Adding new EP/SP to an existing AnyGame is always possible (you can see which EP/SP are included in the existing games by reading the configuration that appear in square brackets in the Create/Replace AnyGame list, next to each game). Removing an EP/SP is not always possible, because older expansions can't read neighborhoods saved with newer versions. However, you can safely remove any pack from the existing AnyGame, as long as you keep the current "latest EP" (or you replace it with a newer EP). For example, if you have created an AnyGame with the configuration Base + UNI + NL + OFB, you can safely remove UNI and NL (thus keeping OFB); or you can even remove OFB, if you add a newer EP (for example SSN, or BV, or any other EP newer than OFB). As you can see, our example game (Base+UNI+NL+OFB) has a score of 3, and therefore it can be updated with any other game configuration with score >= 3, such as (just to mention a few): Base+OFB, Base+NL+FFS, Base+AL, etc. NOTE: Store Edition - In the list above, you can see that Store Edition has a score of 9 (just like BV); however, I strongly advice NOT to use Store as "Latest EP": if really you can't avoid including Store in your AnyGame, at least you should add an EP with score greater than 9. This is because Store Edition is crap It acts as a BV-like expansion, but can't actually manage the removal of some older expansions, especially Pets (while the real BV can manage the removal of Pets and any other pack). How can I install a lot or a custom Sim into a AnyGame, BGSgame or PermaGame? The Maxis installer or the CleanInstaller will open up, asking for confirmation: just confirm the default path and the lot (or sim) will be automatically installed in the right folder. I have installed many different games, and now I don't remember what icon starts what game. The AGS installer does its best to assign a visually understandable icon and a descriptive name to the shortcut; I also strongly suggest to rename the icons as soon as they are created by the installer, so to better remember the characteristics of the installed game. Just hover the mouse over an AGS icon (default or customized, game or BodyShop), and the tooltip will tell you all the game parameters, the packs included, etc. I play the normal game under a "User" account; is this a problem?. YES, this is a problem. The games created with the AGS installer (as well the installer itself) must be run as administrator. This is because the mini-games need to temporarily modify some Registry keys in the "HK_Local_Machine" section. If your Windows account is a "User" one, you must use the Vista option "Run as Administrator", or the XP option "Run as..." (and then select an Admin account). Problems with the installer (wrong or blank icons, games not correctly created or moved, errors issued while installing...). Please post in this thread, giving as many information as possible about the task you were performing with the installer, and possibly a screenshot. You should also provide the install log; in order to create a log, run the installer using the icons located in the Start Menu -> AnyGameStarter: the icons in the Start Menu are different, because force the installer to create a log ("AGSinstaller_Log.txt") on your desktop. Compress the log into a zip and attach it to your help request post. If you can't fin'd the icons in the Start Menu, or you have deleted them, run the installer in any possible way (even double-clicking on the AnyGameStarter_Setup.exe) and choose the option "Force re-create icons" form the drop-down menu. Problems while running the games ("Wrong CD" error, games not starting, error messages issued while starting a game...). Please post in this thread, giving as many information as possible about the game you were running, and the error you experienced. PermaGames --> Each PermaGame has its own AppFiles folder, located in: (Documents)\AnyPermaGames\PermaGameX (where X is the PermaGame number). Old BGS games (created with the deprecated BaseGameStarter installer) --> No support is given on these games any more. Please convert them to PermaGames, test them, and if they still have problems, follow the instructions in the "PermaGames" section, above. MY "FULL GAME" HAS BEEN DELETED/NUKED/BROKEN! OK, take a deep breath and calm down: you full game is safe and has NOT been deleted. You DON'T HAVE to reinstall anything. Be sure to have the latest AGS installer. From the Start menu, select the icon "AnyGameStarter -> AGS installer (Standard)". If you don't see it, double-click on the file "AnyGameStarter_Setup.exe" (downloaded from this thread): it will create the icons in the Start menu. (Note: the icon from the Start menu are special: they create an Install Log on the desktop). At this point, you can click Cancel: the installer has already tried to fix your game. RESTART WINDOWS. This is important! It will force Windows to read the fixed path to the Documents folder. Test your Full Game, to see if it's normal again. If the Full Game still doesn't work, then run again the installer using the "Standard" icon from the Start menu; create an AnyGame (it's not important which one). Go to (Documents)\AnyGameStarter and compress the folder AppFiles into a zip. Include in the zip also the file "AGSinstaller_Log.txt" that you should see on your desktop. Post in this thread, explaining your problem and attaching the ZIP. What happened to the old BaseGameStarter? The internal code of the BGS is similar, but different than the AGS one; and both have grown too big and complex to be maintained separately. Therefore, I decided to merge them into the new AGS v.2. After all, the only "pro" of the BGS was the simplicity of usage (pre-made games, few options, nice recognizable icons), and all these features can now be found in the "BGS Mode" of the new installer. What should I do with the old BGS games already installed? You don't have to do anything; they will be automatically updated (if needed) to be compatible with Mansion & Garden, and will still work like before. Only, they are considered unsupported; for this reason, I strongly suggest to convert to PermaGames the old BGS games that you really need, and then completely uninstall the old BaseGameStarter. When converting old BGS games to PermaGames, I don't see all my old BGS games in the list! Why? The AGS installer checks whether you have run each old BGS games at least once; if you, for example, installed the "OnlyCEL" game with the old BGS installer, but you never actually run the OnlyCEL game, then you are not allowed to convert it to a PermaGame: if you really want it, you should instead create a new AnyGame containing only Celebration, using the AGS installer. You can either use the Add/Remove Program panel, or run again the AGS installer and choose the option "Delete existing AnyGames" (and then select all the games). When you delete the last mini-game, the AGS is automatically uninstalled anyway. NOTE: uninstalling the AGS will delete the three AGS games; neither the Full Game nor the PermaGames will be deleted. Thanks a million to MaryLou for creating most of the icons and the community lot included in the mini-game. It's a long story, but if you're interested, click the button! New "Debug Mode" icon in the Start Menu: use it if you have problems with the Documents folder; the icon forces the installer to open a folder selector, where to select the right Documents folder. Fixed a bug that prevented the correct conversion into PermaGame of old BGS games created with BGS installers older than v. 2.2. Many thanks to Aelflaed for reporting and helping tracking down the bug. Fixed a rare bug that caused the AnyGame/PermaGame batch files to be mangled, thus preventing the AnyGames or PermaGames to run at all, or forced the Any/PermaGames to run using the "full" save-game folder. Many thanks to Lord Darcy for reporting and helping tracking down the bug. Bugfix: The installer issued a "File not found" error while converting old BGS games, if no AnyGames were found. Thanks to Aelflaed for reporting. Bugfix: The full game "lost" the Apartment Life expansion if IKEA was not installed. Thanks to LauraLaima and PenChris for reporting and providing helpful info. BaseGameStarter merged into the AnyGameStarter: the code of the AGS/BGS has become too complex to maintain them separately; starting with v. 2.0.0, the AGS includes the old BGS functions (see detailed instructions in the How To Use section). PermaGames: now you can make your favourite AGS/BGS games permanent, meaning that nothing can modify or delete them (except a manual deletion by the user). This is useful, for example, for the Legacy games or the frequently used test-games. PermaGames are also a good way to circumvent the 3-slot limit of the AGS, in case you need to install many games at the same time. Online check for updates: this option (activated by default if an internet connection is detected) checks if a new update has been released; if so, it suggests the user to visit the official AGS thread to download the new version. Support for all the expansions: the AGS now supports all the existing expansions up to Mansion & Garden. IMPORTANT: the packs bought from EA's online store are NOT supported! New terrain for the mini-game: now the mini-game is built over a terrain with many flat areas, so to allow lot builders to find a good building site easier.